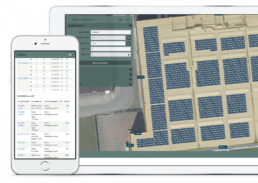 Through the high quality manufacture of all components used in a PV system and integration of free-to-use design and smart asset management software Autarco supports your success. The Autarco partner program is designed to help you achieve your business objectives. To help increase sales and profitability and reduce risk. Our aim is to build a long term mutually beneficial relationship, based on respect and a shared objective to deliver high quality solar projects that deliver peace of mind to you and your customers. Unlike other manufacturers in the solar industry, we have a clear focus on what we do best and that is exactly why we need high quality developers and installation partners like you. Autarco’s proposition literally supports retailers of PV and enables them to focus on their core business: advice, installation and maintenance of PV systems. We are a partner of our Authorized Dealers, much more than just a supplier. We don’t just sell you the goods, we remain a stakeholder in the performance of that system. Why would you bear all the risk regarding system performance? With Autarco you don’t. Our kWh guarantee protects you. Autarco does this by adding value beyond the high quality products and offering software and services. The Helios platform is a very powerful PV system design tool which is free to use and an integral part of our proposition. In order to manage kWh guarantees issued we need to keep tabs on how the systems are performing and this Smart Asset Management service also helps you to execute your O&M contracts, enabling you to focus on the maintenance aspect and rely on us for the operations by means of our pro-active monitoring. Our full solution approach delivers you superior support. We’re looking for the best installers and EPCs to join our Authorized Dealer network and to get on a track to become Preferred Partner with many benefits to you. Higher returns & lower risk. Our mission has always been to reduce the risk of solar for downstream participants; that means you and your customers. With the insurance of our industry leading solar power guarantee and our state-of-the art software this mission is now a reality. We are with you every on step of the sales, install and maintenance journey – not just as a hardware provider, but as an active stakeholder in your solar projects performance. 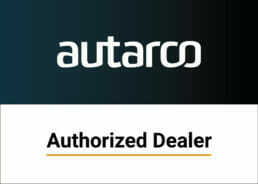 As a reseller of Autarco you no longer have the need for expensive 3rd party software licenses. We provide all the tools that you require, free of charge. Our platform is on the house to help you get more modules on the house. Autarco’s innovative system design software enables you to go from lead capture, system design through to BOM generation, yield calculation, purchasing, registration, monitoring and O&M all in one place, free of charge and available to you wherever you are. Whose fault is this anyway? Autarco has consigned this question to the scrap heap where it belongs. If your system is underperforming, you have one dedicated after sales expert to call. Our accountability gives you greater convenience. Want to offer real value?